CONSTELLATION ENERGY has a long and pioneering history in the energy industry. From their roots as the nation’s first gas light utility, the company has evolved into one of the largest and most innovative energy companies in America. Constellation Energy is a publicly traded (NYSE ticker: CEG) Fortune 500 leader, headquartered in Baltimore, with nearly 10,000 employees, approximately 12,000 megawatts of generation capacity and $14.3 billion in annual revenues (2010). And nearly 200 years after their establishment, Constellation Energy’s customer-centric business model remains unique in the industry. The company is committed to advancing competition in energy markets nationwide. Competition drives innovation, provides choices for customers and helps to keep energy costs as low as possible. Constellation Energy is built to compete and win across the energy spectrum, especially larger Commercial users. 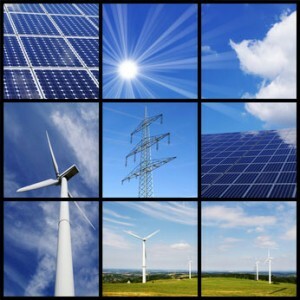 The company generates, manages and supplies energy products and services to a broad spectrum of customers nationwide and serves the largest commercial, industrial and public-sector power and gas users… in fact, two-thirds of the companies on the Fortune 100 index are Constellation Energy customers. The Constellation Energy wholesale electricity supply business has been an industry leader for nearly a decade. This business provides power to utilities and municipal co-ops nationwide, providing these institutions with a reliable and uninterrupted power supply 24 hours a day, 365 days a year.